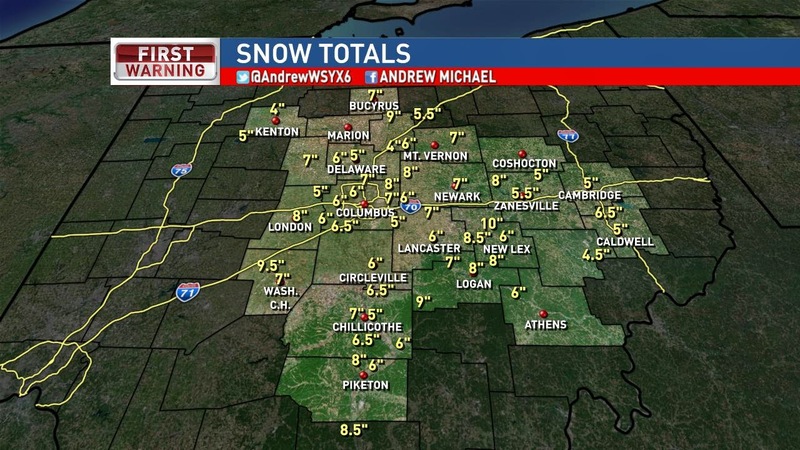 To say it was cold this week... is an understatement for Central Ohio. 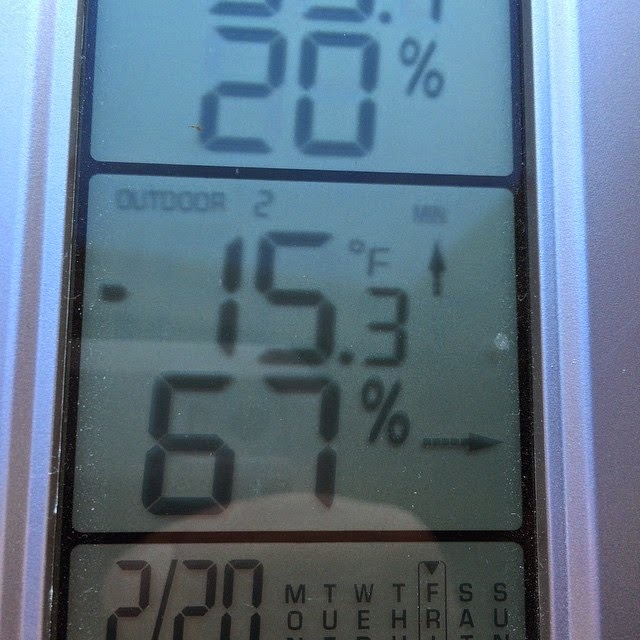 And this is NOT factoring in the wind. 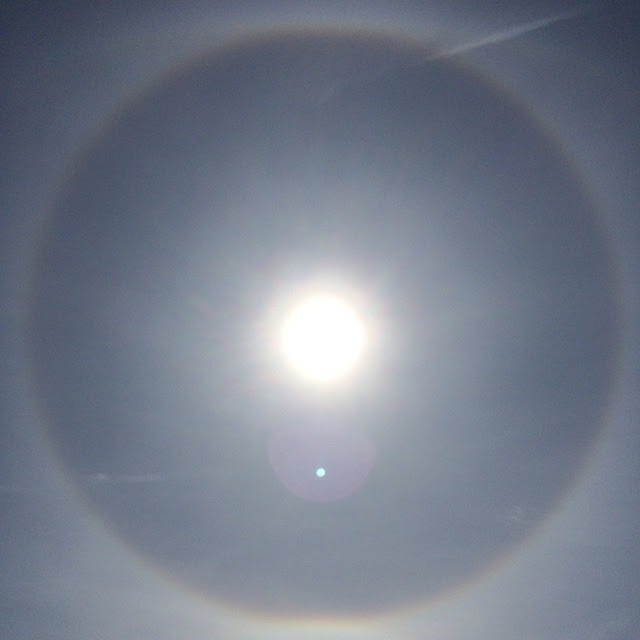 But the ice crystals in the air made for some awesome pictures. This one is a raw photo taken with my iPhone... no alterations. 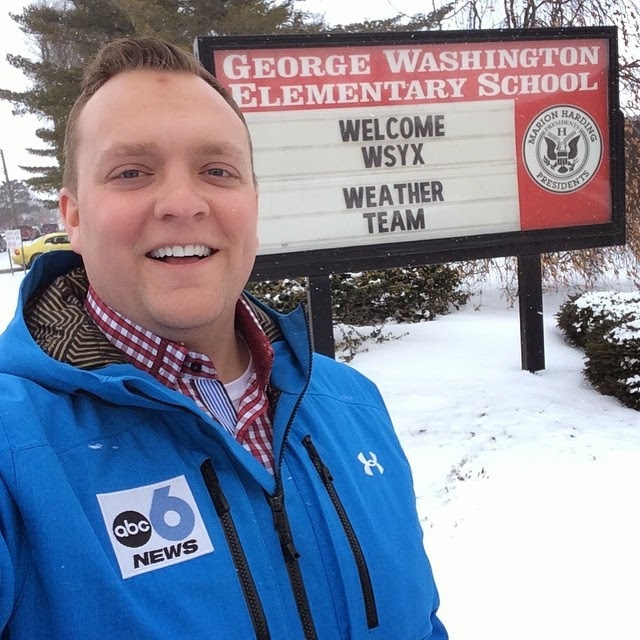 My school talk was in Marion this week... and they were VERY welcoming. Thursday night Dawn and I finished registering for the baby shower. 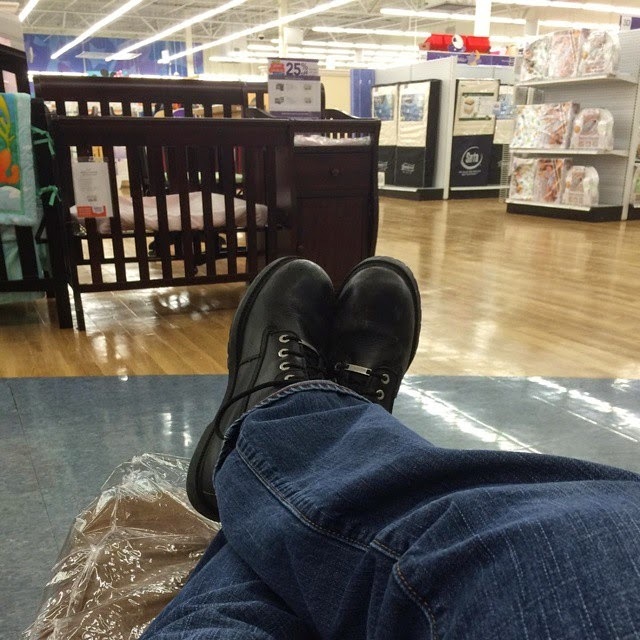 I had to quality test all the rocking chairs. Oh, this is the progress on the nursery from last weekend. My sister said she will need to come back another weekend to finish painting it. 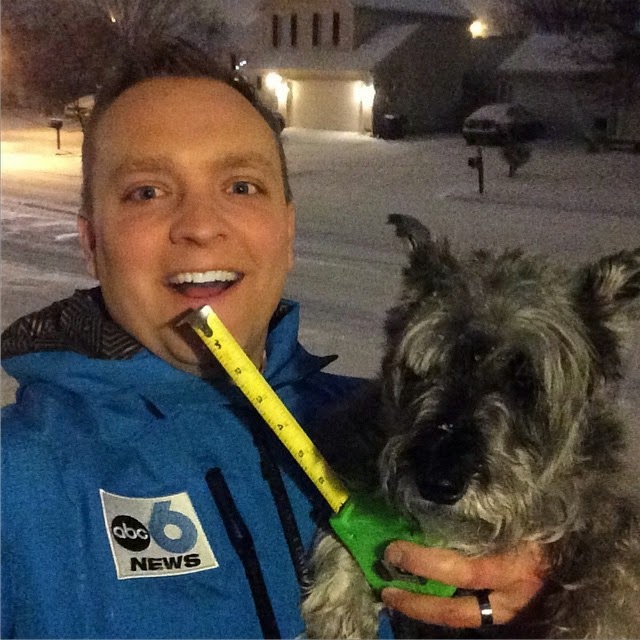 Snow on the way... so Buckeye said you HAVE to use a ruler for us to use your measurements on-air. We generally had about 5-8" of snow... so a little more than I expected, but the roads were still a mess... So yes, it snowed as expected, but about 0.2" more liquid equivalent. 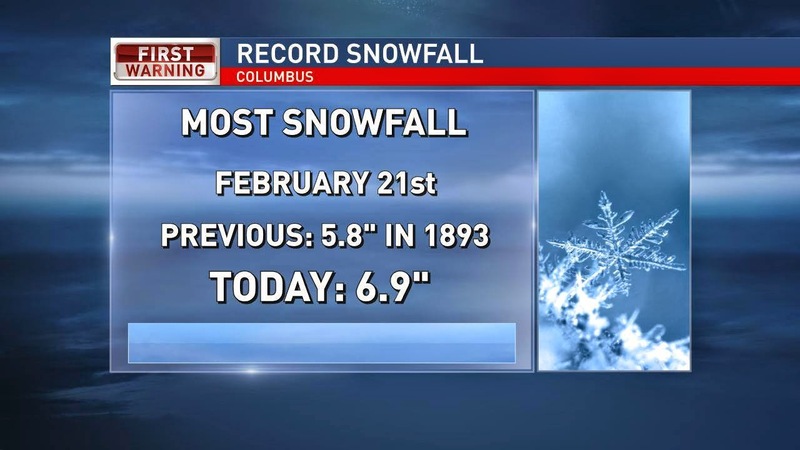 Columbus even broke the record for snowfall on Saturday. Flurries to the north this evening then clearing skies and becoming frigid. 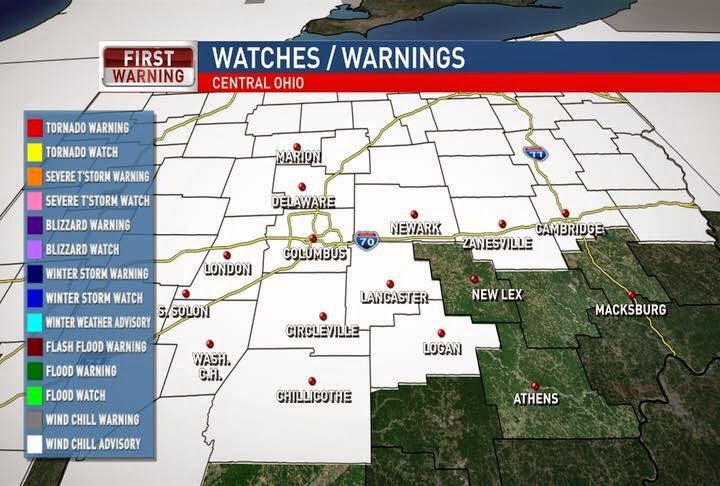 Lows near zero for much of Central Ohio by Monday morning with wind chills between -5 and -15. More sunshine for Monday, but still cold. More clouds Tuesday and a chance for some light snow later in the day and Tuesday night with minor accumulations. Frigid air returns for the rest of the workweek then we have a warm-up for the weekend. How about this for next Sunday??? 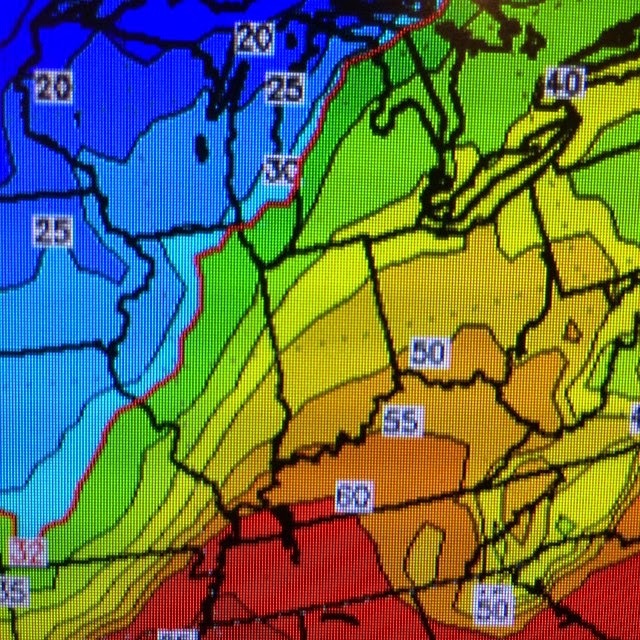 I think this model is a tad warmer than what we will see... but it is still a week out... and some light at the end of the frozen tunnel. Have a good one!